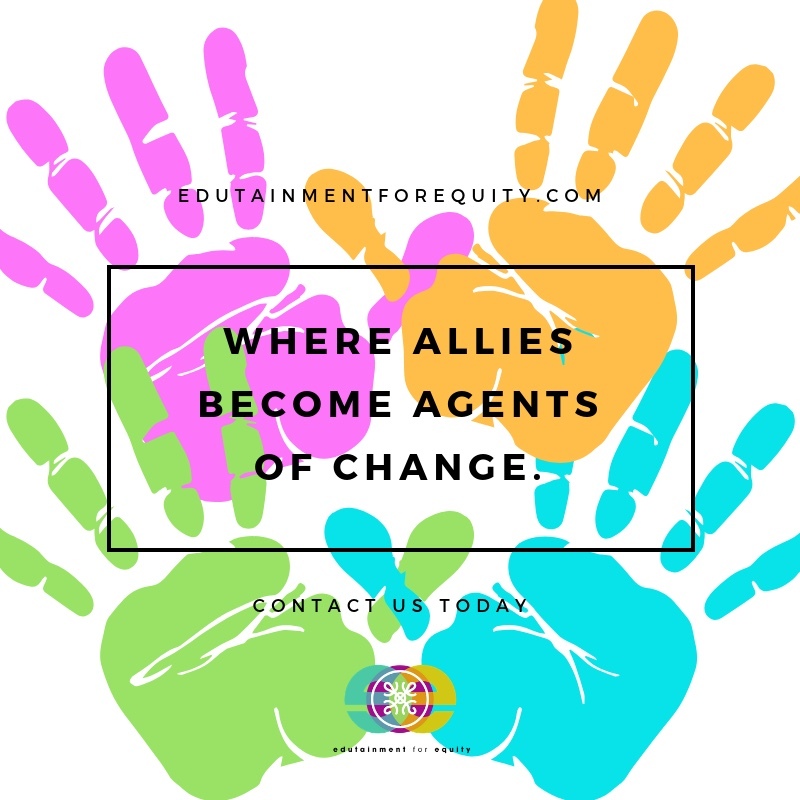 Our mission is to activate allies and empower historically oppressed people to transform their institutions and communities. It takes COURAGE to confront systems of oppression; to not only acknowledge them within our institutions, but to challenge them in dialogue and action. It requires AUTHENTICITY, a willingness to see the world as it truly is and to place yourself within it, acknowledging the ways that you are complicit in or victimized by it. We need to move with COMPASSION for ourselves, and each other to create a world that is equitable, that honors everyone not in spite of our differences, but because of them and the beauty and richness that they offer. Compassion is where feelings meet actions. It propels us to feel a deep desire to act to protect diversity. OPEN-MINDEDNESS is essential to this mission. If we are unwilling to see beyond our own positionality, we cannot feel compassion. We cannot place ourselves in the social context of others and we will not challenge systems of oppression. If we are not MINDFUL of our positionality and the ways that it colors our interactions and the systems that we design, we will perpetuate the status quo. We create tools with APPLICABILITY, that provide the language and strategies for challenging systems of oppression at all levels if we are to manifest a truly equitable world. The solutions are there, inside of our imaginations. All we need to do is tap into our CREATIVITY to define the world that we want to see.